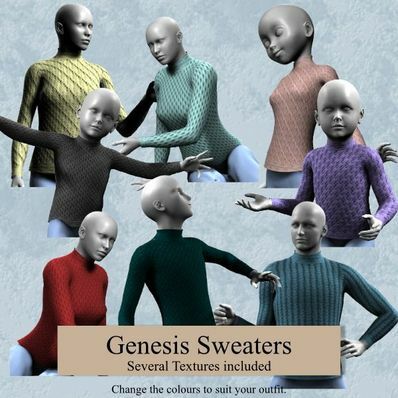 Sweaters for Genesis for use in Daz Studio 4. Sweaters in 8 different patterns. You can change the colour to suit your outfit by going into the Surfaces tab and changing the Diffuse colour. Thank you! Love, love, love your stuff! I do love sweaters. Love the high neck and knit patterns.